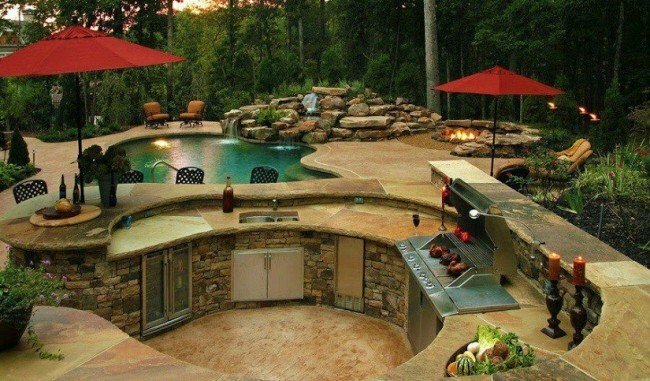 Summer is just around the corner and the focus moves toward the outdoors – backyard barbecues, parties and simple relaxation. 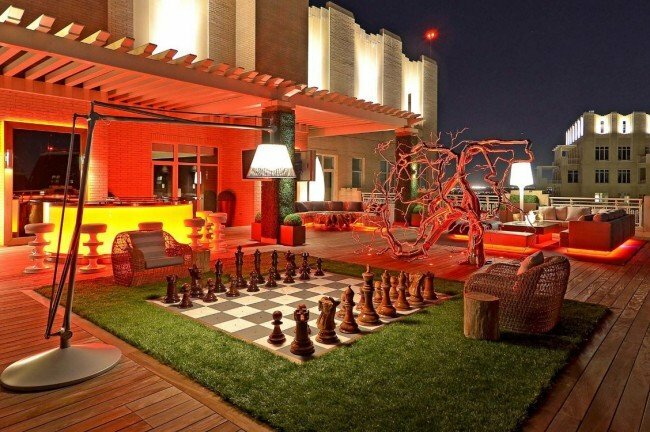 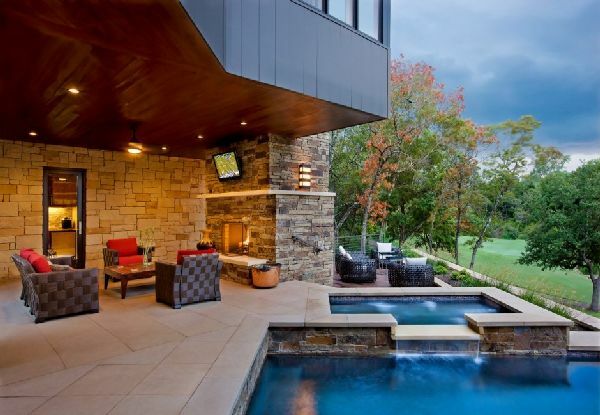 Here are luxurious and creative outdoor living areas for the backyard and rooftop to inspire you to create your own outdoor oasis. 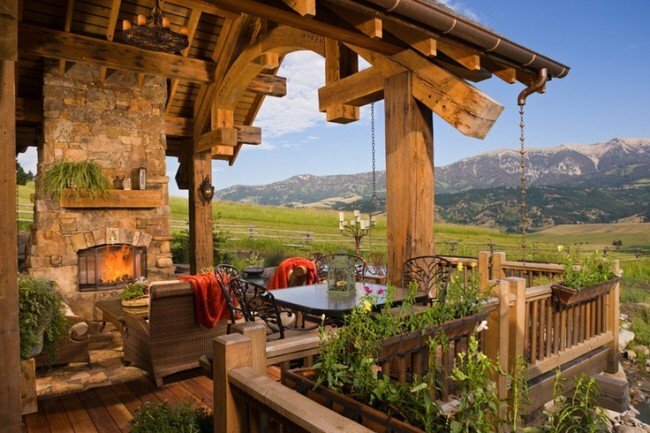 When it comes to outdoor spaces, the best way to make your inspirations come true is to envision the outdoors just as you would your indoor spaces. 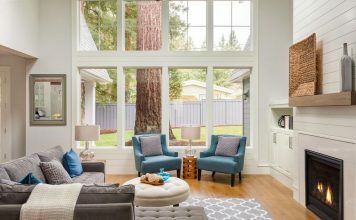 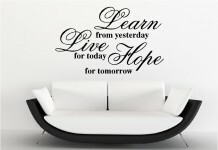 For example, your number one focus for the indoors is comfort. This doesn’t vary for outdoor spaces. 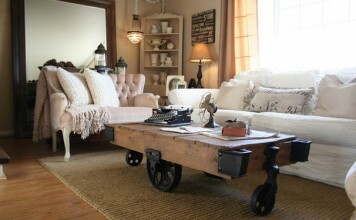 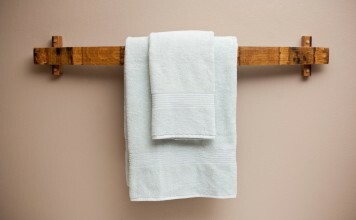 Choose furnishings that will conform to your needs and that can stand up to the elements. 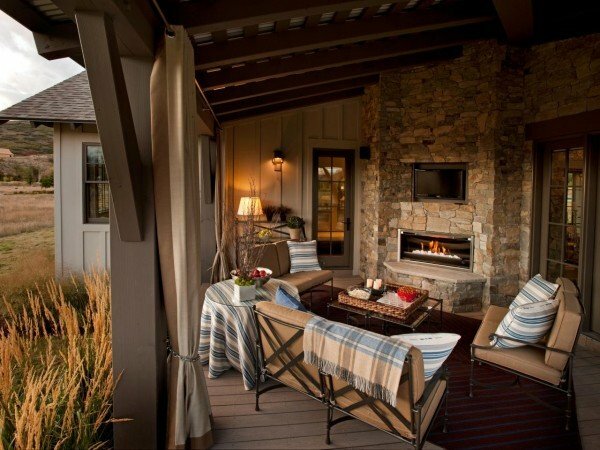 Store cushions during inclement weather and off-season. 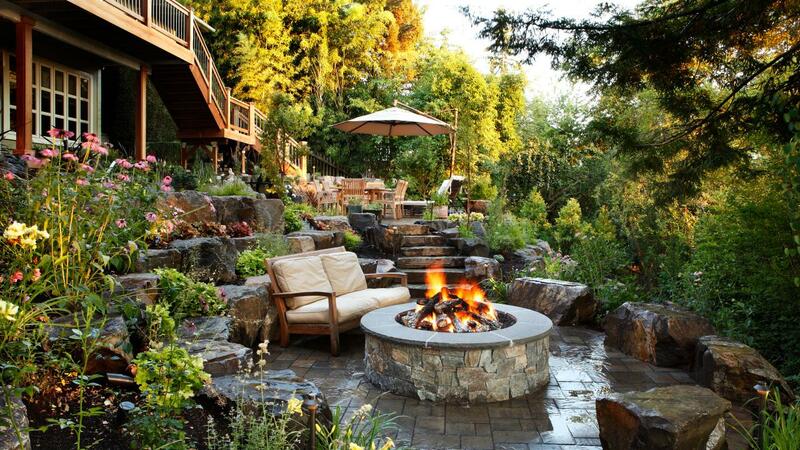 If you have the space, allocate an area for a fire pit, a cooking area and a relaxation or conversation area (which may be surrounding the fire pit). 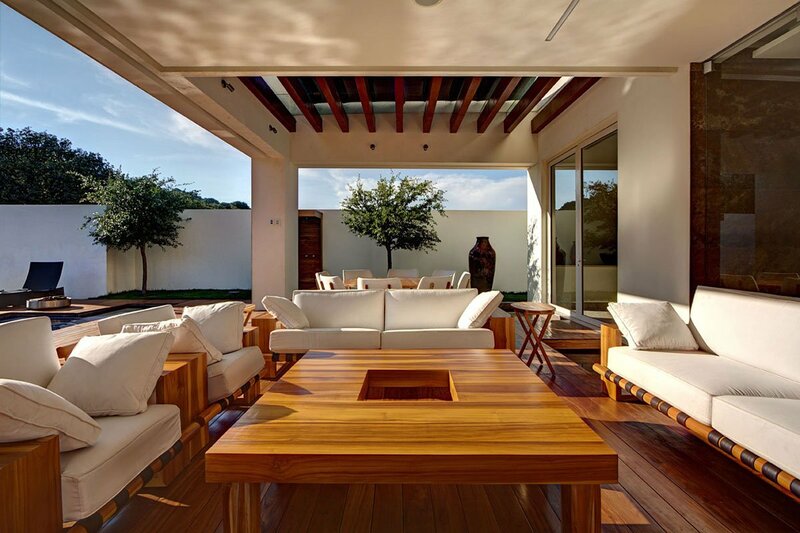 If you entertain often, several seating areas work well, giving guests the opportunity to relax while mingling. 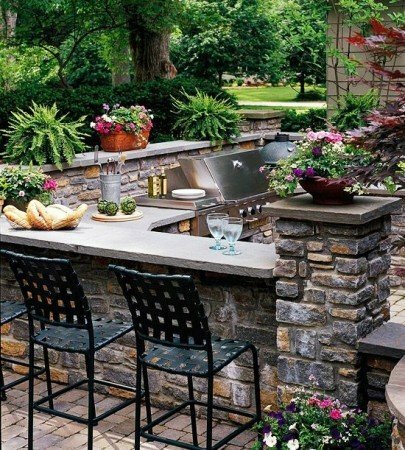 Provide tables or garden stools for resting food and drinks. 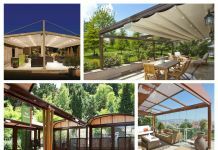 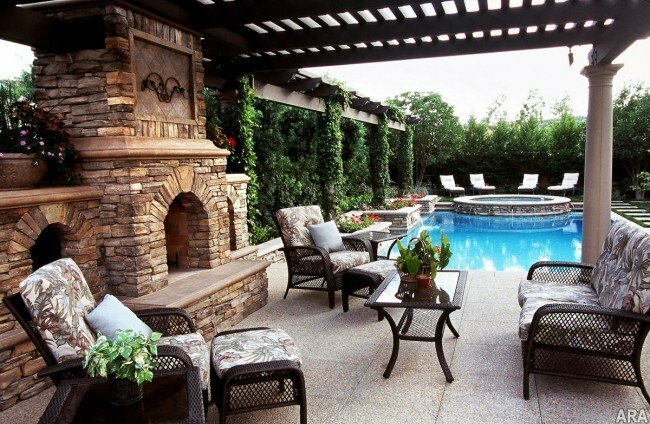 A totally separate space for your outdoor living area, such as a pergola or other structure, makes a wonderful backyard display perfect for a variety of gatherings. 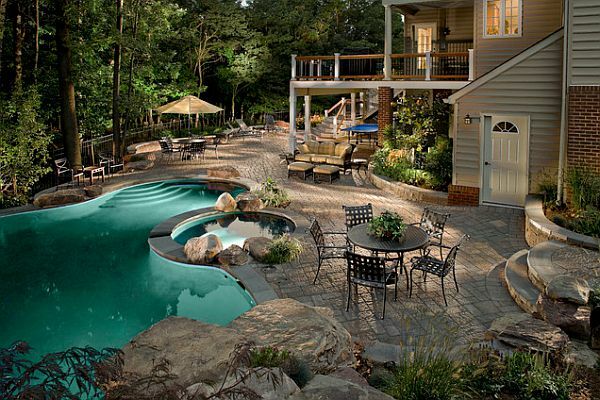 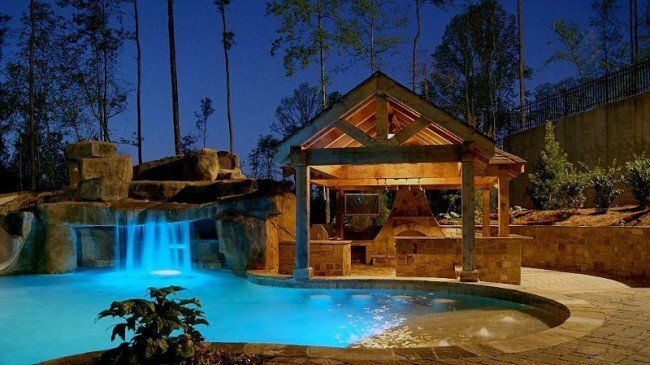 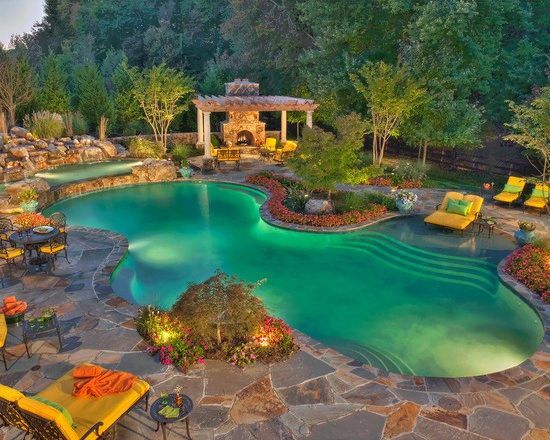 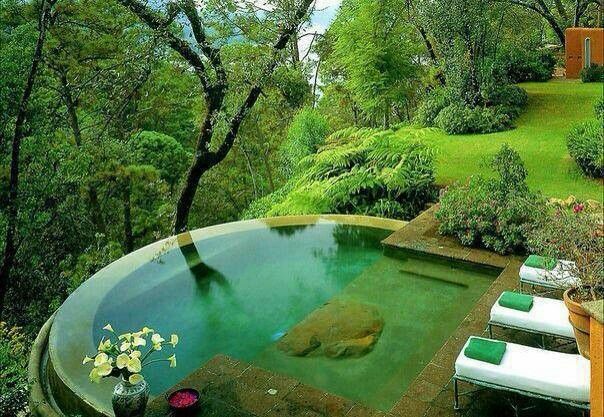 A backyard swimming pool is an added luxury and can become the centerpiece of your outdoor space. 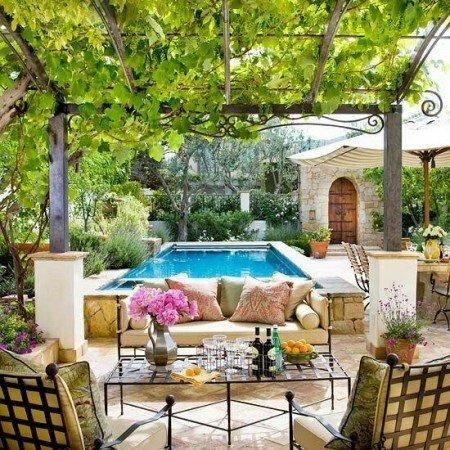 Building a patio around the pool to provide ample lounging and seating areas is a plus. 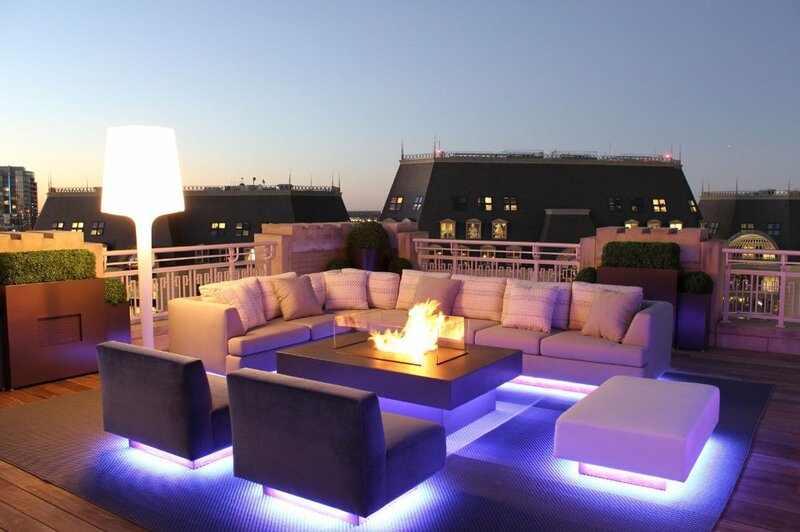 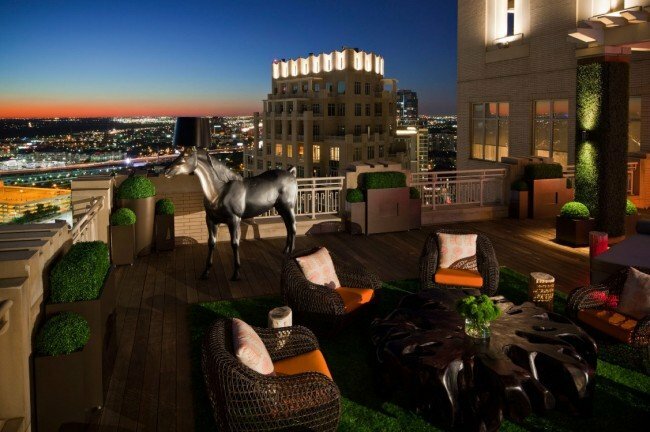 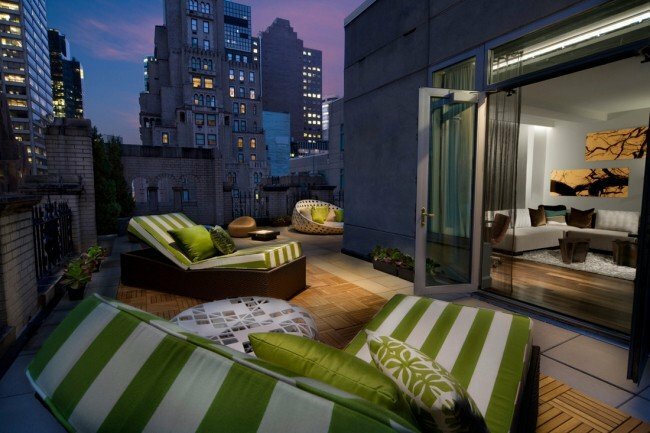 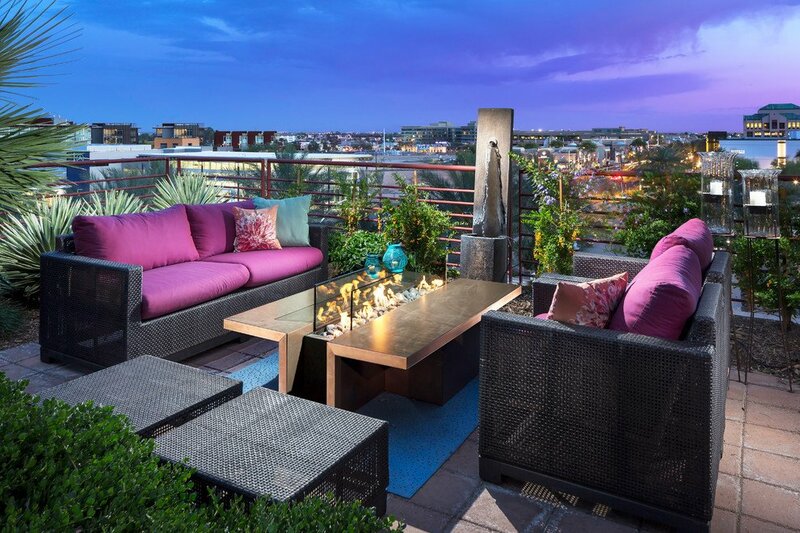 Rooftop outdoor living is a whole new world from the backyard. 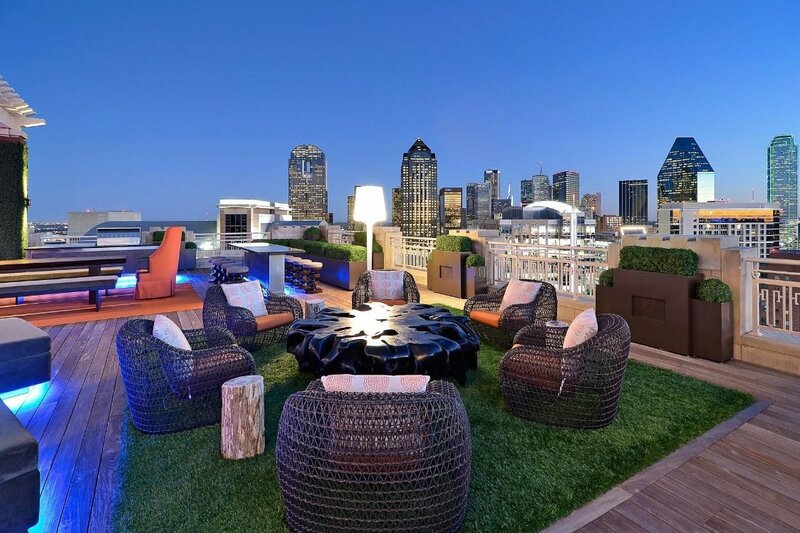 Imagine wide open space and glorious city views and set up an outdoor playground for partying or just relaxing amid the stars and city sights. 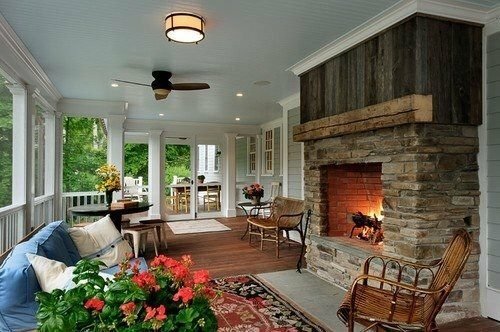 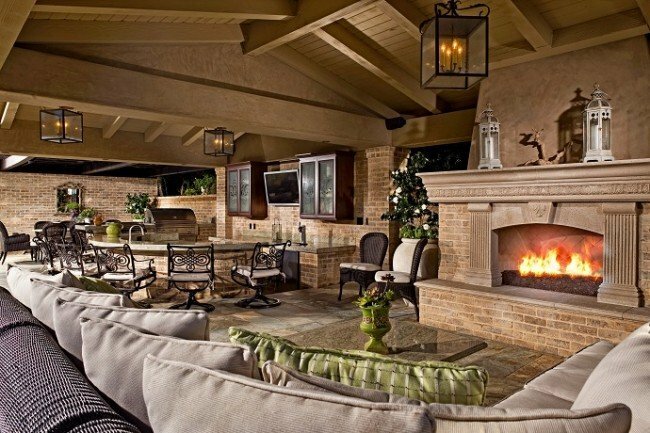 Patio areas that are an extension of the house create a cozy spot for relaxing and enjoying the outdoors. 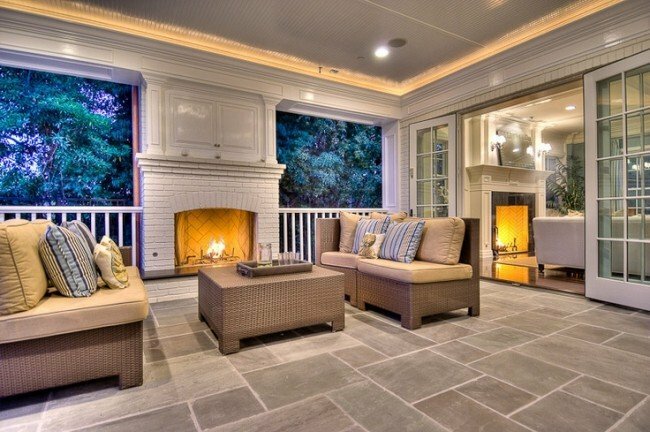 An intimate grouping of chairs around a fireplace makes the evenings that much more enjoyable. Include plenty of natural elements, such as stone, plantings and a water feature to truly make your outdoor space an escape. 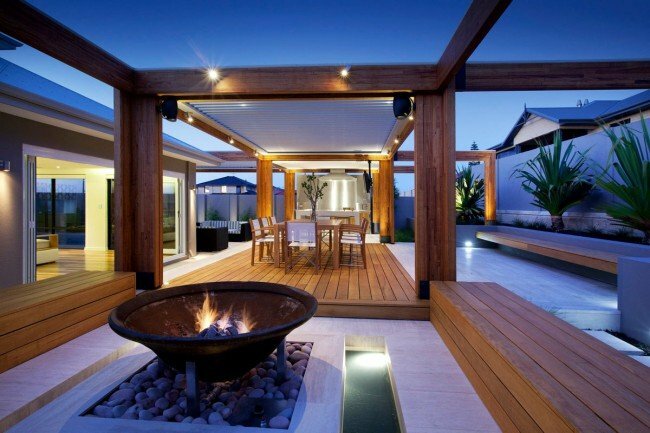 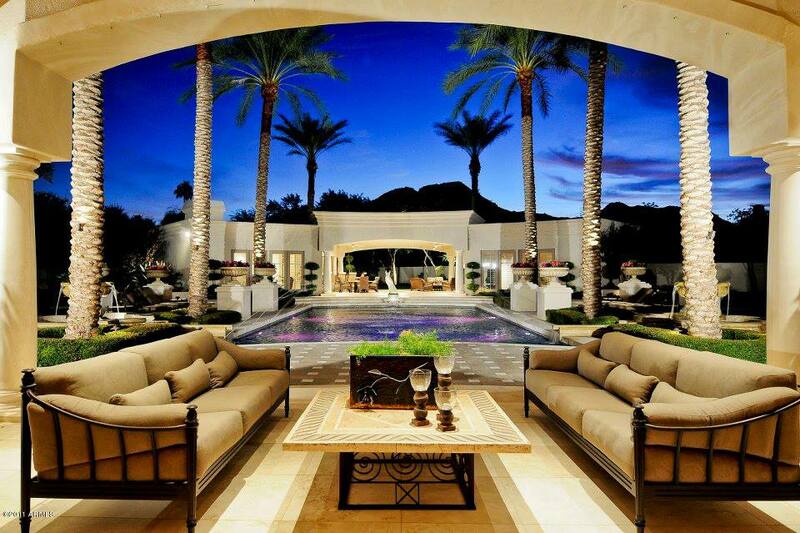 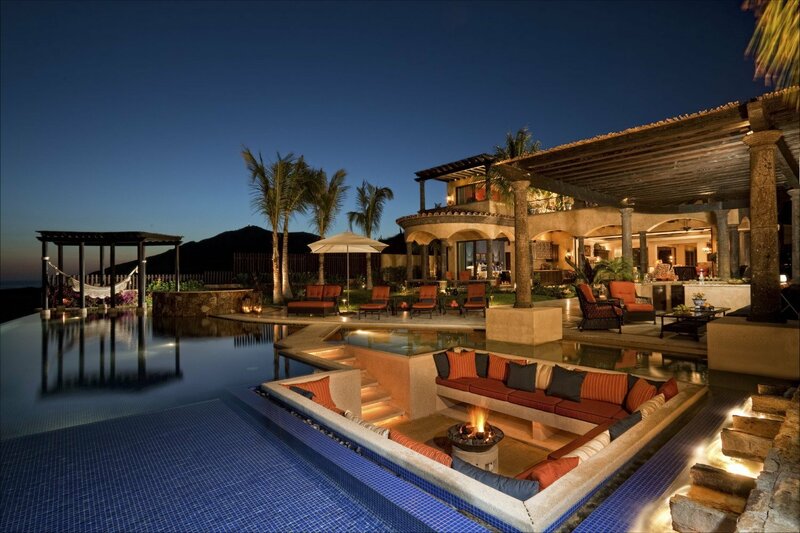 Designing an outdoor living space that makes all your dreams come true can be quite an accomplishment. 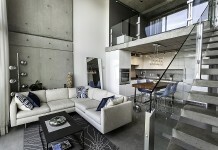 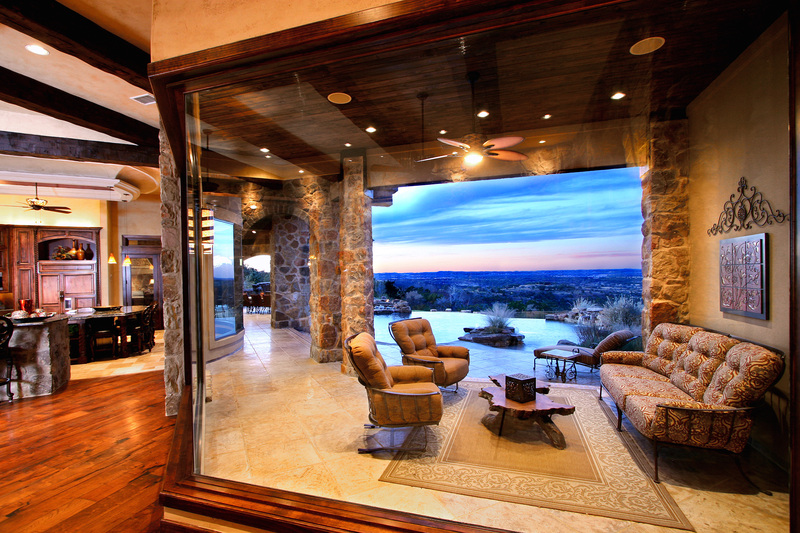 It enhances the value of your home and provides a great spot for entertaining. 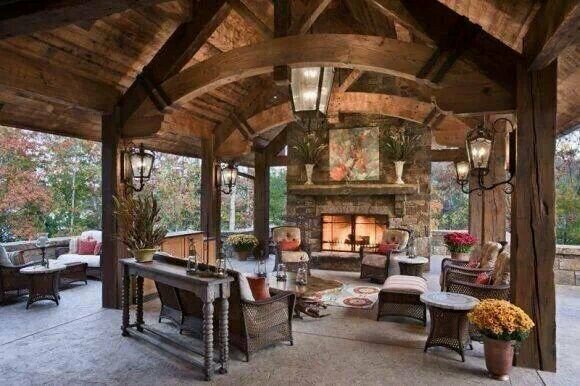 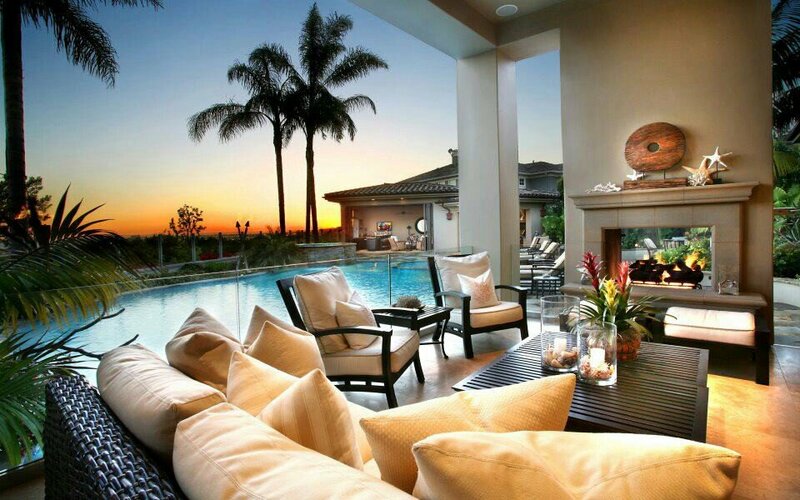 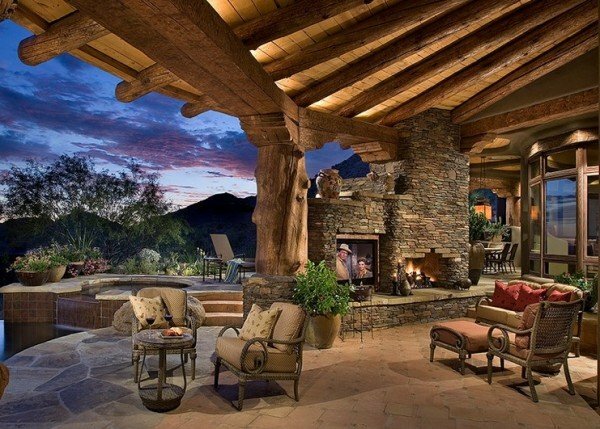 Most of all, an outdoor living space gives you a place to relax and enjoy the outdoors.